It’s never a pleasant experience when your air conditioner goes out—and usually, it’s at the worst possible time too. And it isn’t just an inconvenience. It can quickly escalate into a dangerous situation if the weather is unusually hot and humid. It makes sense to know what to look for so that you can get it repaired promptly and correctly to minimize the discomfort for you and your family. Let’s begin with identifying potential trouble with the operation of your AC system. 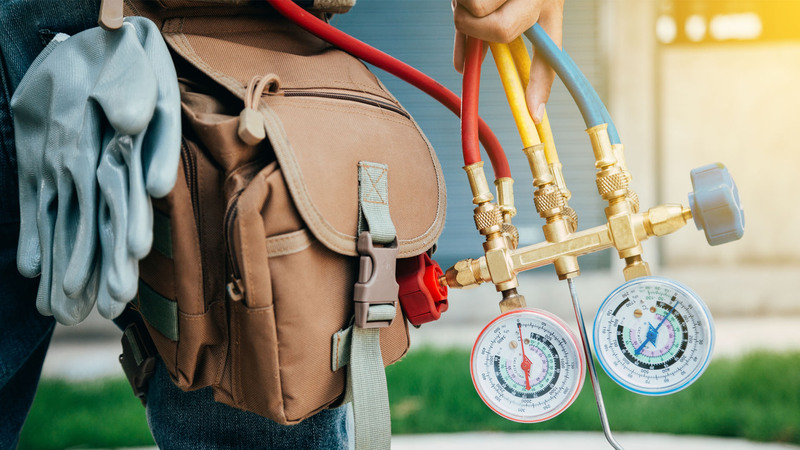 Often, there are telltale indications that something is going wrong with your cooling unit and you will need to engage a local HVAC company for AC repair services. You may find that it’s not keeping your home as comfortable as it had in the past. The airflow might be less than it used to be. You may feel cold or warm spots in different rooms. Or perhaps you’re detecting a foul odor or odd noises coming from it. It may even be something more obvious such as a water leak or frost on the air conditioner. Sometimes, it’s only a minor problem that a service rep can locate quickly. Other times, it involves a more intense search. No matter what the cause, our technicians can find it. We strongly urge you not to ignore any signs of an issue with your air conditioning unit. The longer it runs at less than peak efficiency, the more you’ll end up paying in utility bills to cool your home. There’s also a risk that the system could fail entirely, costing you even more money. Our team of EPA-certified professionals can tackle any repair. We can take on the small jobs like lubricating the fan motor or recharging the refrigerant. 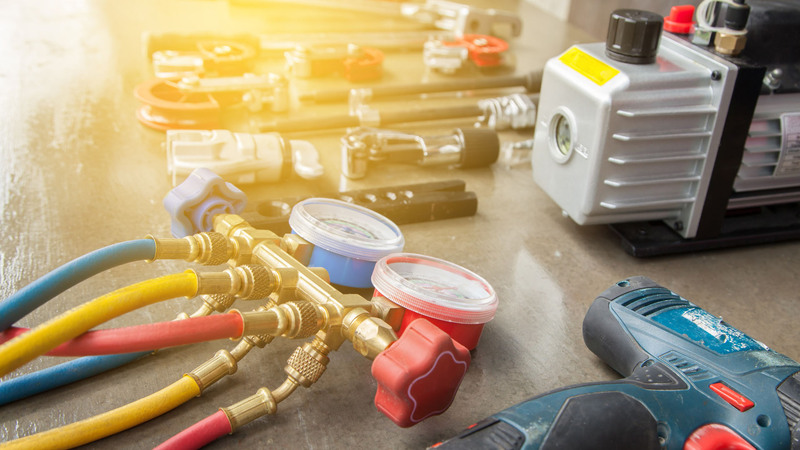 We can also do major work such as replacing the evaporator coil or compressor—and everything in between! With us, any AC repair services start with a a free estimate. You can call or email us with a detailed description of the trouble. Of course, we are always willing to come to you, as well! We’ll give you an itemized estimate with everything labeled and spelled out with no surprises or hidden costs. You have our word on it. And if you have to replace your AC, we’ll help you make an informed decision with a cost-benefit analysis of a repair versus a new unit. We provide emergency ac repair services. You needn’t worry about going without air conditioning with Penguin Cooling and Heating on your side. We can also help you keep your air conditioning running at its best with a monthly or yearly maintenance plan. The best thing you can do to avoid a costly AC repair is to schedule regular check-ups on your system. An air conditioner is like any other major appliance when it comes to the routine tasks that are necessary to keep it running smoothly. It includes things such as cleaning the coil, drain lines, and filter. It’s also essential to test the components like the TXV valve or phase shifters. You’ll get all of these services and more with a monthly or annual Penguin Plan. In return, you’ll get the peace of mind of knowing your AC is performing safely and efficiently without the worry that you’d have to get it repaired or even replaced. Rest assured that we are authorized dealers on all major brands. And no job is too small or too large. Penguin Cooling and Heating is there to help. We’re available 365 days a year with live representatives standing by to take your call. And more! We are also an Energy Star Partner too. Penguin Cooling and Heating makes customer service and 100% satisfaction are primary goals for every project. We put you first from the free consultation to the follow-up call to make sure you’re satisfied. We offer same or next-day appointments to provide our ac repair services for your AC system quickly with our No-Hassle On-Time Guarantee. We don’t charge extra for nights or weekends either. Our technicians are up-to-date on the latest technology. They are also licensed, bonded, and insured. We stock our service trucks daily with original parts to ensure a quick turnaround on your repair. Don’t wait. Inquire about our AC repair services in Charlotte, NC today. Call us at 704-296-0800 or message us to take the first step toward restoring the comfort of your home.